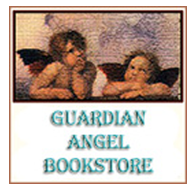 Do you know a child experiencing grief over the loss of a loved one? Be a part of their healing with the inspirational book Harriet’s Heartbroken Heart. 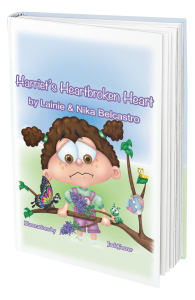 When Harrison dies, his twin sister Harriet doesn’t understand his passing and is angry, sad, frightened, and lost. 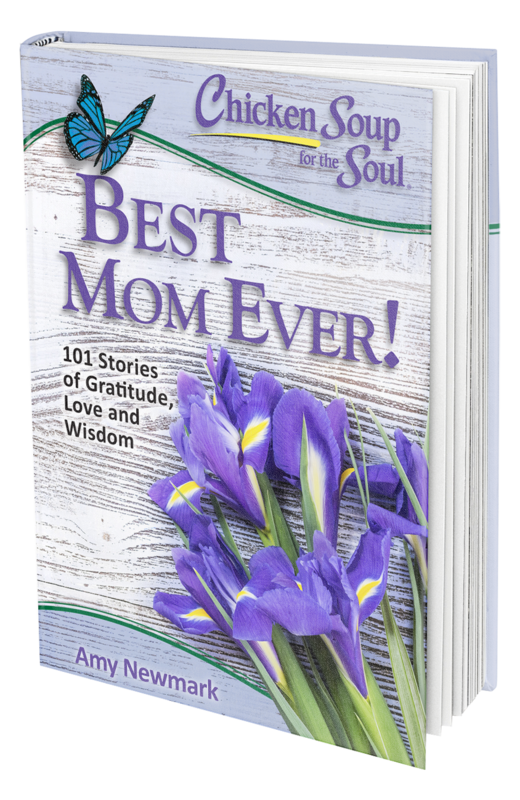 But, a return visit to a favorite place she and Harrison loved introduces her to a special lady bug who offers inspirational words to Harriet to help heal her broken heart. 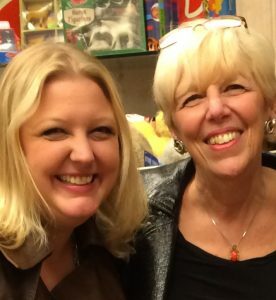 Lainie holds many titles in the arts, but her most treasured title is mom to her daughter Nika. 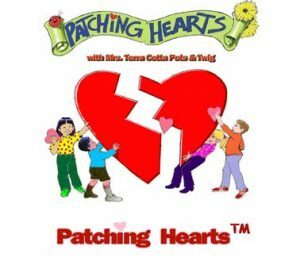 Together they created the trade-marked storytellers, Mrs. Terra Cotta Pots & Twig® who “planted dreams for children” via their live and televised shows, and helped heal little hearts through their Patching Hearts™ programs. 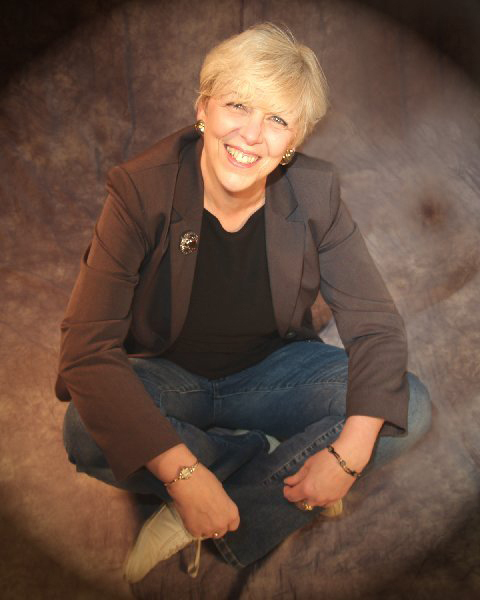 She is a published opinion and feature writer with articles appearing in the NY Times, NJ and PA papers and periodicals. Her proposal to establish a world wide day of recognition for the elderly was adopted by the American Gerontologists Association and accepted by the United Nations in 1989 establishing every October 1st as International Elderly Day. 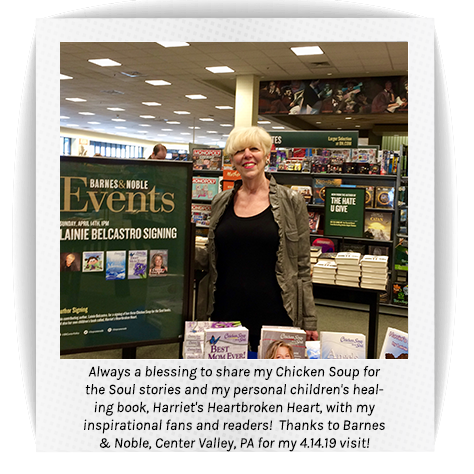 Click the links below to read the articles Lainie has published in The Morning Call. 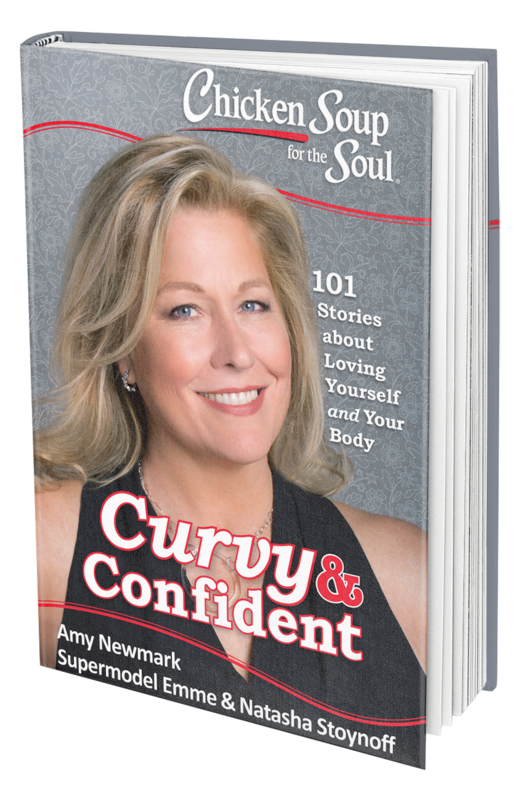 Pick up a copy for yourself! 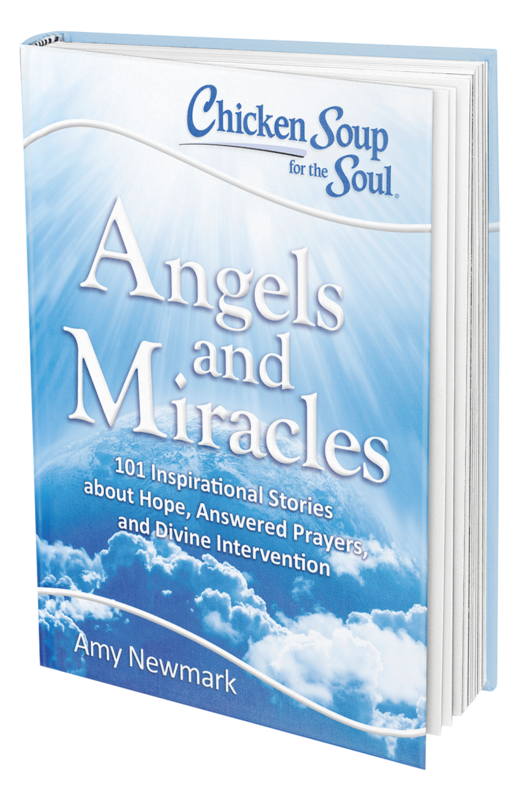 Grab your copy today at one of the following retailers: Amazon, Barnes & Noble, or Christian Book. 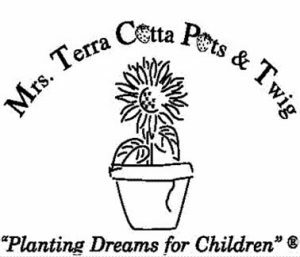 Encouraging children to plant their dreams and to see something beautiful every day, storyteller Mrs. Terra Cotta Pots has planted thousands of “dreams” for her little sprouts with her live and televised productions. 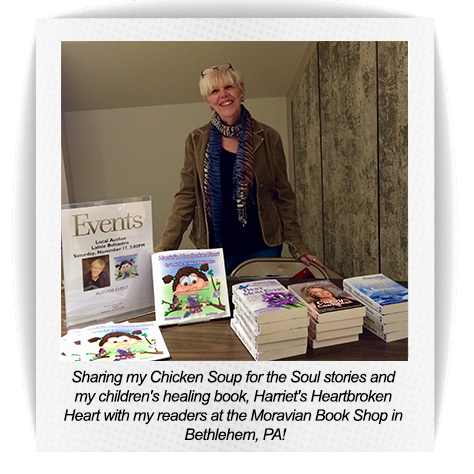 Branching off to help heal little broken hearts, she established her “Patching Hearts” programs dedicated to children challenged with health, wellness and environmental concerns. Her “Dream Gardens,” dedicated and cared for by children, also invites the support of communities to get involved with the needs of their little ones. 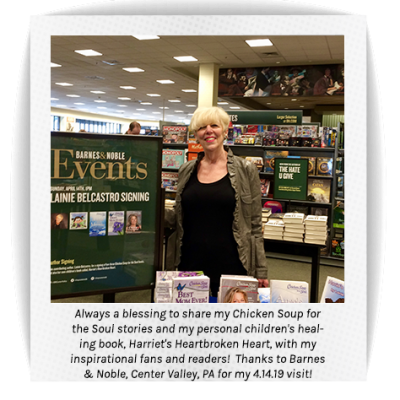 Mrs. Terra Cotta Pots is the recipient of numerous endorsements and recognitions from health, corporate and community organizations who often request an original story and performance that supports their mission. 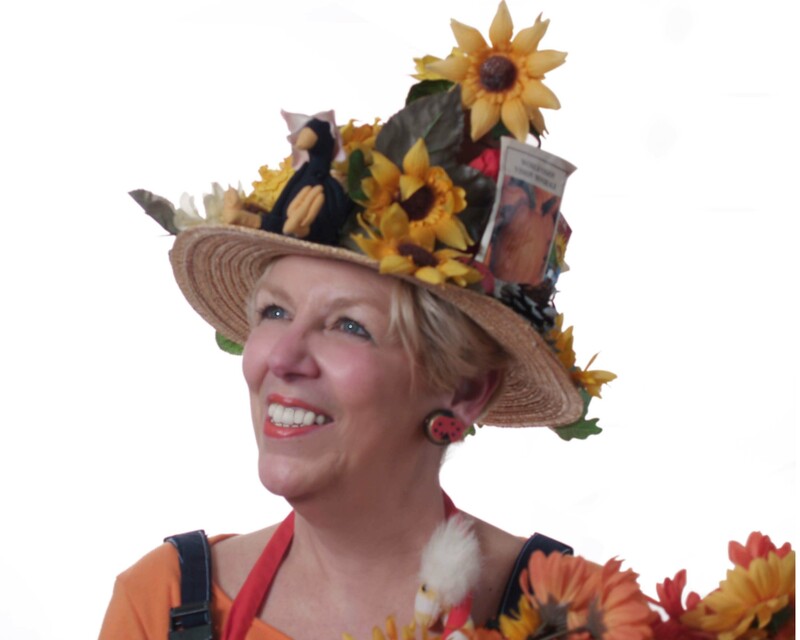 She hopes that you become a blooming member of her “terra cotta potterriffic” audience! Once upon a time there was a single mom, Lainie Belcastro, who had run away from a very abusive marriage. Giving up her own theater career, she dedicated herself to raising her precious little girl alone. She had no money to provide entertainment for her daughter, Nika, so being a creative spirit, this mom turned their little apartment into a imaginative retreat. 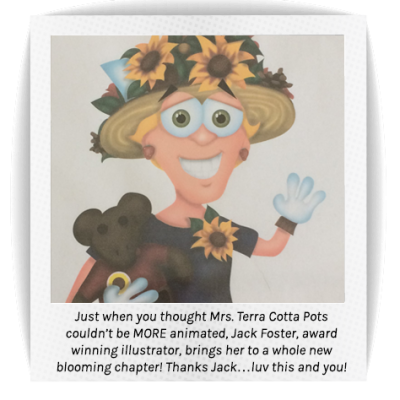 Those special moments together gave birth to the trademarked storytellers, Mrs. Terra Cotta Pots & Twig and all their colorful characters, stories and songs. A local corporation heard about this talented team and invited them to perform at a holiday party. 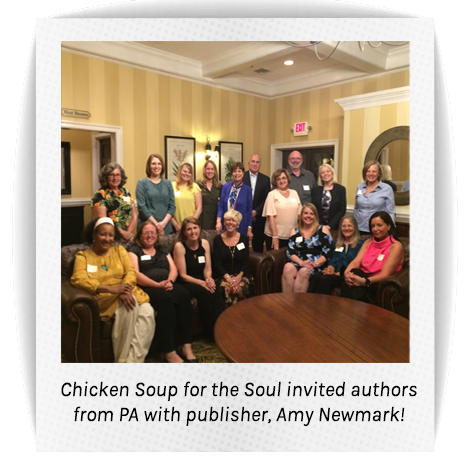 That venue introduced them to many health, wellness and hospice organizations where they captured many little smiles from children challenged with life-threatening concerns. That was many years ago and this highly recognized and honored mother and daughter storytelling duo have entertained thousands of children with their live and televised productions. 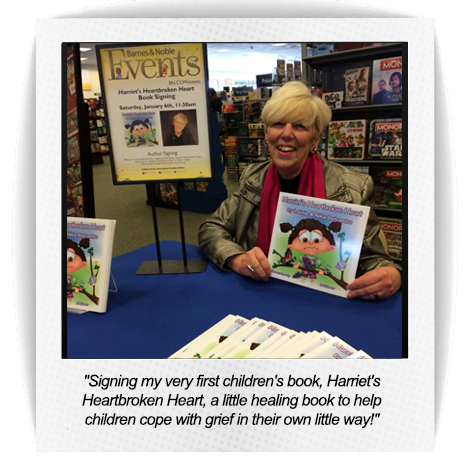 Their “Patching Hearts” healing shows and “Dream Gardens” have helped heal hundreds of little broken hearts. Today, all grown up, both Lainie and Nika are still “planting dreams!” After receiving 21 scholarships to college, Nika, a graduate of Kutztown University, PA is pursuing her passion as a production stage manager for major cruise lines and production companies touring throughout the world. 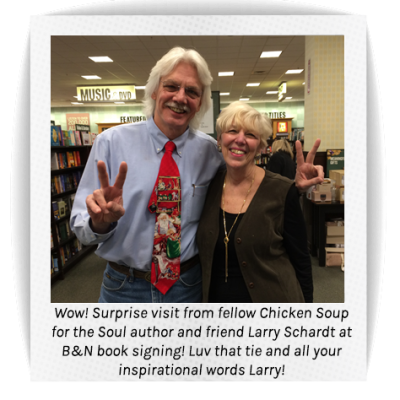 Lainie retired after thirty years of corporate management and continues to actively pursue her writing, storytelling and speaking engagements. 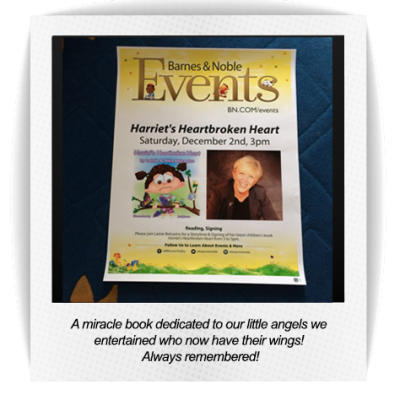 Together, they are the co-authors of Harriet’s Heartbroken Heart, a children’s book for little ones who have lost someone special in their lives, whimsically illustrated by Jack Foster and published globally by Guardian Angel Publishing. 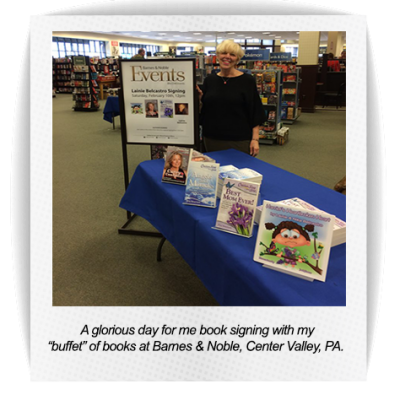 Lainie recently signed with her publisher for another children’s book. 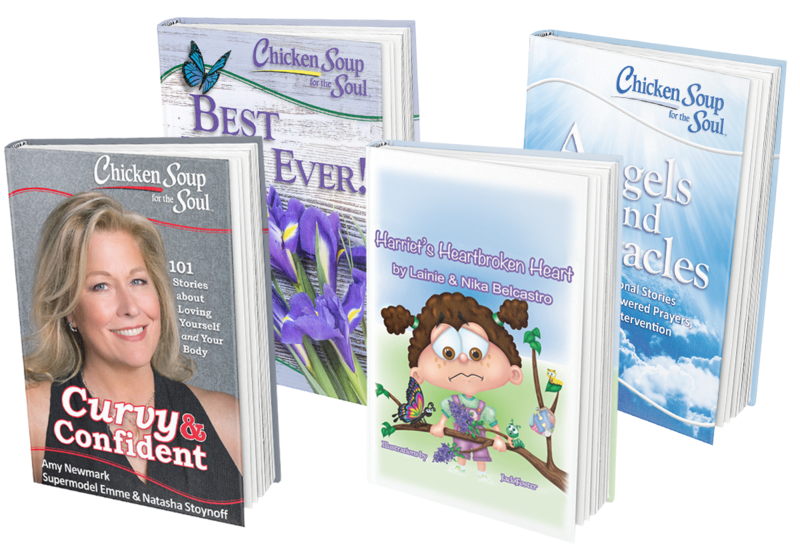 Many of her stories can be found in the inspirational Chicken Soup for the Soul series books. 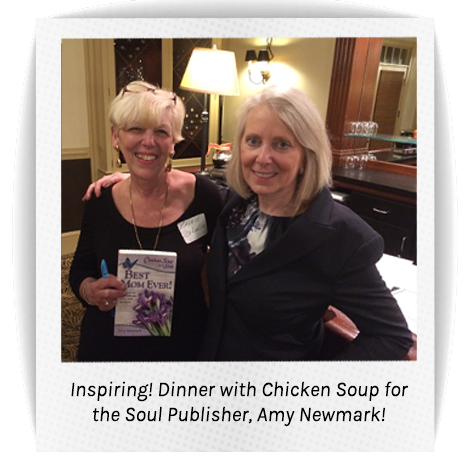 Her own story has been an incredible, inspirational journey, and she hopes to find you on the next page! 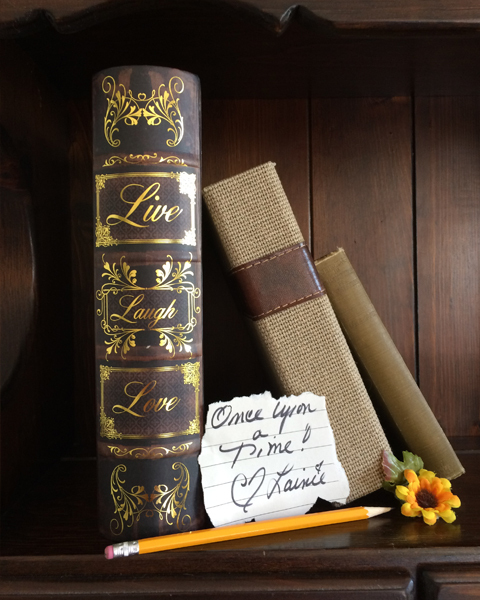 Lainie plans to live happily ever after! “Patching Hearts” with Mrs. Terra Cotta Pots, are original healing programs, specifically designed to help young children cope with a significant loss. 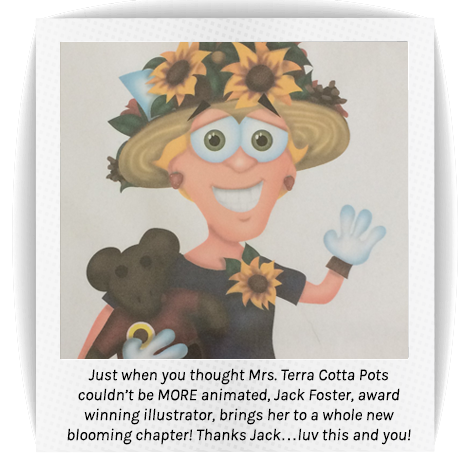 Puppet characters together with Mrs.Terra Cotta Pots introduce stories and songs relating to these losses. 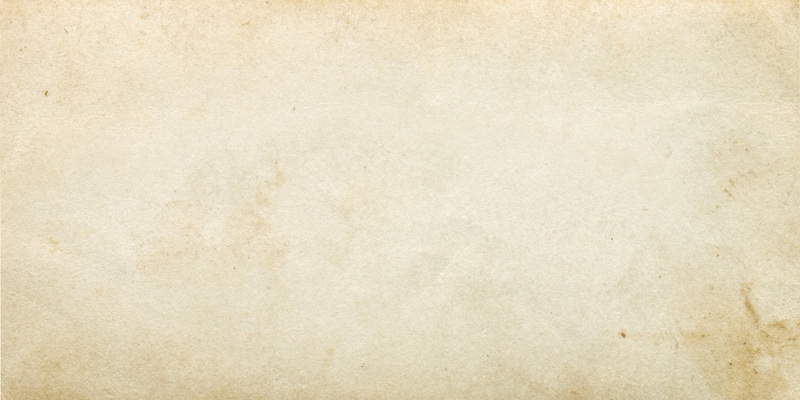 Working with organizations, programs can be designed to support your charitable cause. Invitations are extended to community members and employees to get involved in helping to heal “little hearts” by contributing in various ways to this program. What could be more rewarding than establishing “Dream Patch” gardens for little ones to plant their dreams? Programs help coordinate this everlasting project that provides environmental awareness to young children in your community (ideal for youth groups) and promotes healing for children experiencing significant loss. Designed for small and large groups. Olympus Visionary Volunteer of the Year Award and President’s Volunteer Service Award from George W. Bush, “Community Service Award” from the Honeywell Corporation, the “Outstanding Citizen Award” from The First Morris Bank & Trust Company of NJ, the “Unsung Heroes Award” from the Morris County Daily Record, recognitions from the Eckerd Corporation, Wrigley’s Corporation, CoverGirl, Russ Berrie Corporation, EPOCH, a NJ program for developmentally challenged youths, honored by News 12 New Jersey with the “NJ Women’s Award,” Endorsed by Rich Ruffalo, author and 1995 recipient of Walt Disney & McDonald’s American Teacher Awards. The Moravian Book Shop, Barnes & Noble, The Angel34 Foundation, Lehigh Valley Health Network Hospice, Rodale Publishing, Biney & Smith Crayola, The National Centre for Padre Pio, Turning Point of Lehigh Valley, St. Paul United Methodist Church, STAR Academies-Lehigh University, PBS-39-TEMPO, Olympus America, Inc., Hildebrandt Learning Centers, AlliedSignal, Inc., Honeywell, The Big Brothers & Big Sisters of Morris, The Deirdre O’Brien Child Advocacy Center with NJ Governor Christie Whitman, Borders Books, The Arc for Special Children, The Saddle Brook Library, The Springfield Library, The Children’s Center for Therapy & Learning, EPOCH, NJ, Juvenile Diabetes Foundation, The Valerie Fund, Mid-Hudson Valley Camp, Sister Pat’s Kids, Compassionate Care Hospice, Dept of Human Service Regional School, Chatham United Methodist Day Care, Morris, Randolph, Essex, Bergen and Passaic NJ School Districts, City of Montclair, Morris Plains Recreation, College of St. Elizabeth, Women’s Junior League of Morristown, Rotary of Morris Plains and First Night Morris, NJ, Presented at the COCA Conference with Dr. Bernie Siegel, pediatric surgeon and oncologist, author and speaker for hospice caretakers, NJ. Click to check out flyers and photos from some of Lainie’s most recent events! 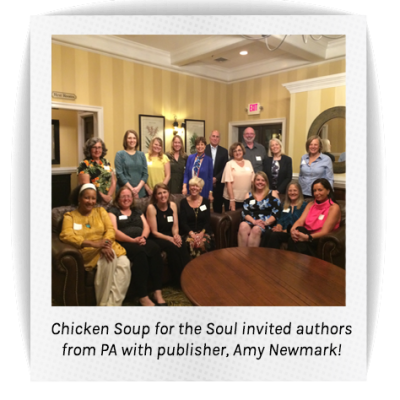 Amy Newmark and their author contributors! Catch Lainie applauding at the end! 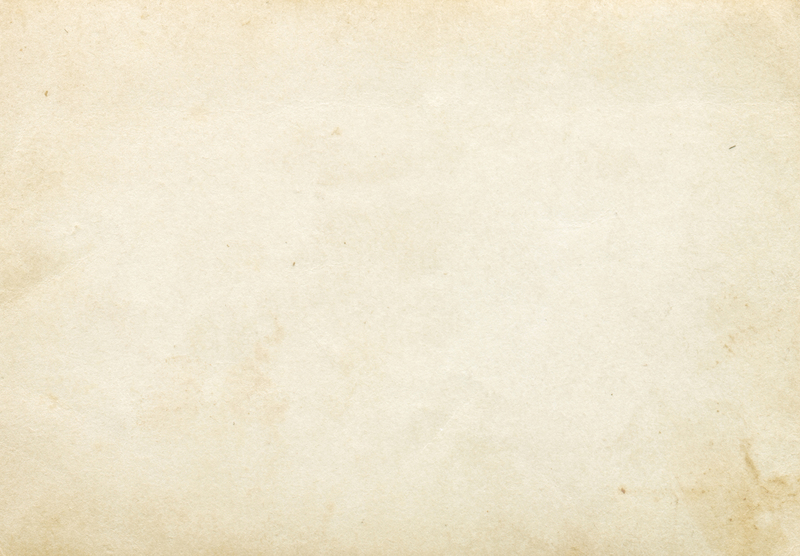 This site is designed and hosted by Enter.Net.